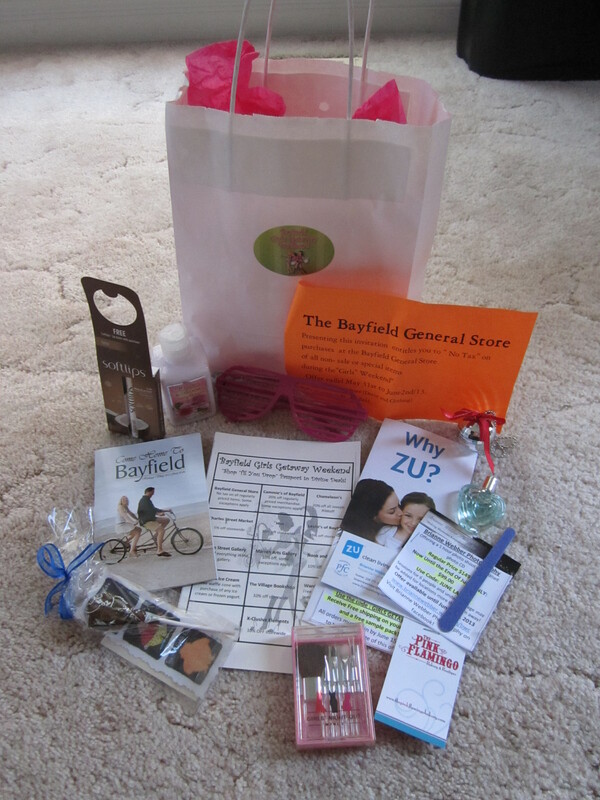 This past weekend, the Divas were invited to Bayfield for a Girls Getaway! It started off Friday night with a kick off cocktail party at the Red Pump. This was the first time I got to meet some of the new Divas: Nicole and Cassandra. When we arrived, we were greeted with awesome welcome goodie bags filled with funky sunglasses, spa products, candy, and coupons for local stores. 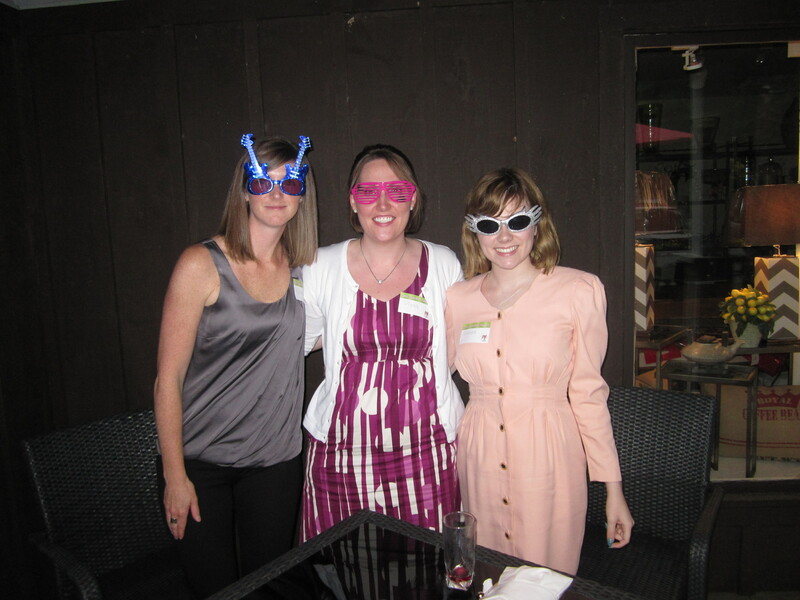 Check out our photo of us with our funky glasses on! The bag also contained tickets for prize draws that were drawn throughout the night. We started off the night by enjoying a special “girls” cocktail and enjoyed some time socializing on the patio. There was a variety of yummy appetizers enjoyed by us as well. It was a great night! On Saturday, there were a variety of workshops offered as part of the Girls Getaway including an art class, yoga, or guided trail hike. I went to the $10 beginner yoga class at the Bayfield Town Hall. With its hardwood floors, the Bayfield Town Hall was a great setting for a relaxing yoga class led by teacher Jennifer Reaburn. It was an intimate class of five ladies, and I met a group of ladies from Ingersoll who were also taking part in the weekend. Jennifer lead us through a variety of poses and taught us a bit about the practice of yoga. She has many years of yoga experience and even went to India for a year. She told me her new endeavour is paddle board yoga, which involves doing yoga while balancing on a board in the water…wow!